Want to write a song together? The Adventure Time Marceline and Ice King 16 oz. 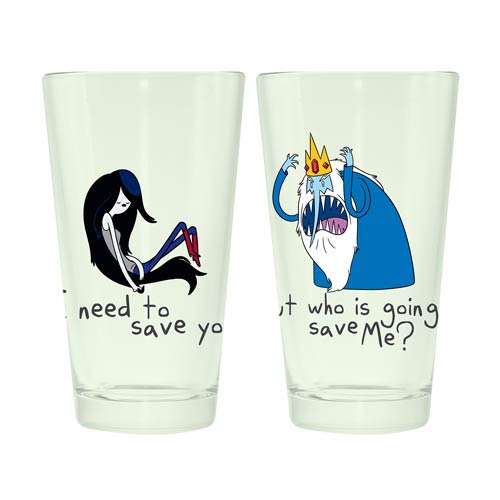 Pint Glass 2-Pack features an image of Marceline on one glass accompanied by the verse,"I need to save you." The second glass finishes the lyric with, "but who is going to save me?" along with a picture of Ice King. These glasses hold 16 ounces of liquid. Hand wash only. Not dishwasher safe. Do not microwave. Ages 15 and up.